Kart Group presents an experiential art installation that reflects on leadership and cultural values in generational perspectives. 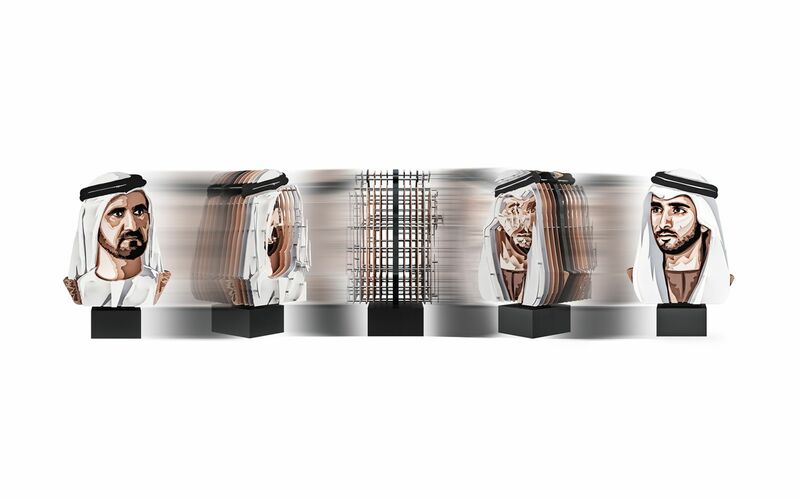 Two noble leaders, Sheikh Mohammed and his son Sheikh Hamdan, are symbolically represented in this 3D multidimensional sculpture, with a fusion of layers that merge their figures into one. 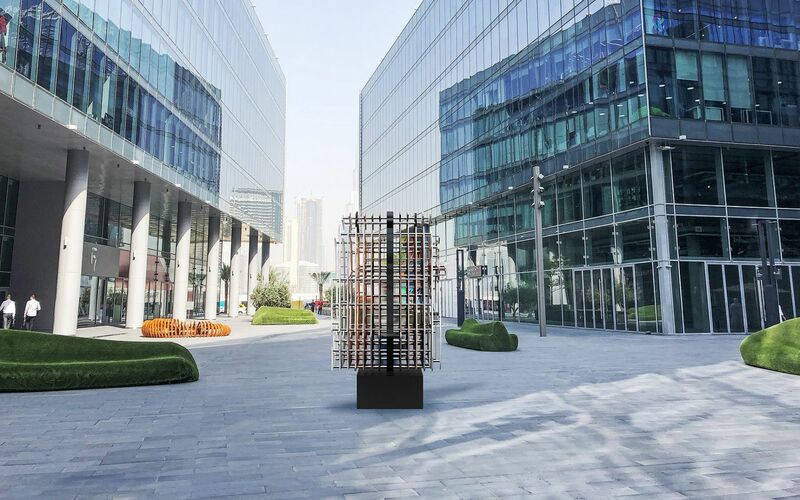 Their vocation to serve and build the United Arab Emirates are complementary, and their vision and mission for the country are implicit in the title of the installation which explores two different aspects of what a nation needs to expand and prosper. VISION | MISSION is a mise en abyme (a formal technique of placing a copy of an image within itself). 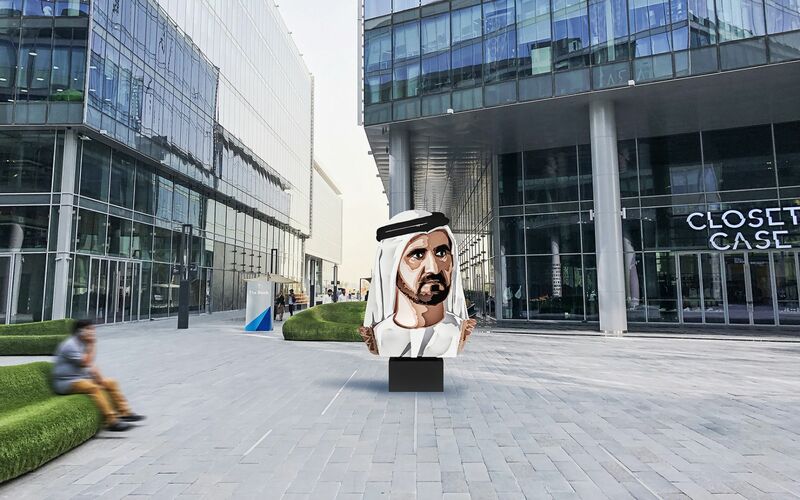 These two iconic regional leaders, who have sustained prosperity in the UAE, are presented back to back, inviting the spectator to reflect on the culture of leadership across generations. 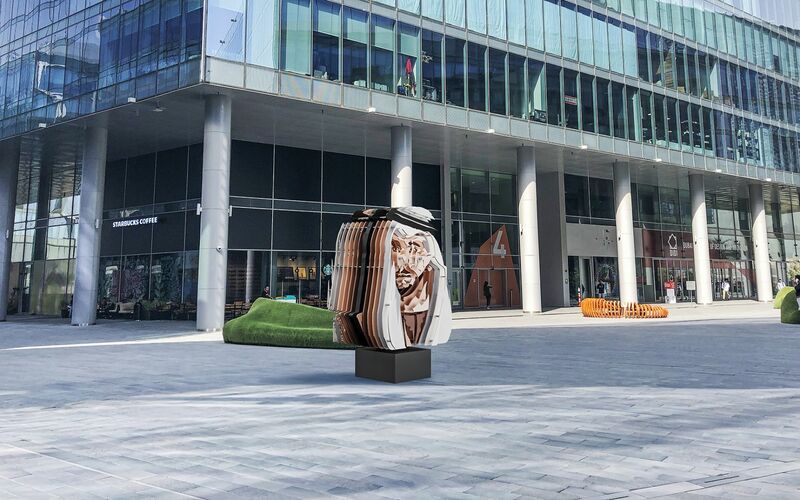 The design of the installation was accomplished by playing with pixels and vectors (2D and 3D softwares), simplifying the contours yet modelling the maximum details to express a certain volume and intriguing confusion to give maximum realistic effect. 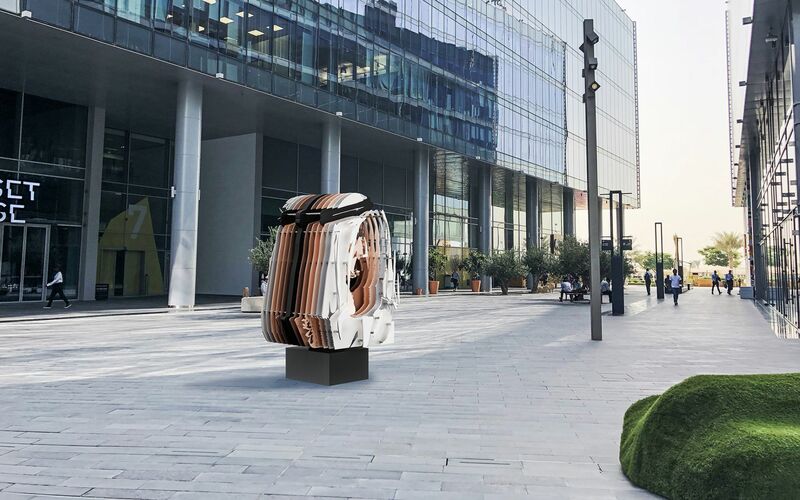 Kart Group is a Dubai-based luxury design studio and an importer of unique modern furniture, lighting, and artworks. The studio creates amazing, contemporary interior designs with a luxurious twist. Before founding Kart Group in 2004, architect Mustafa Khamash had previously worked with renowned architects such as Zaha Hadid and Philippe Starck, building a solid background in the industry of luxury interior design. 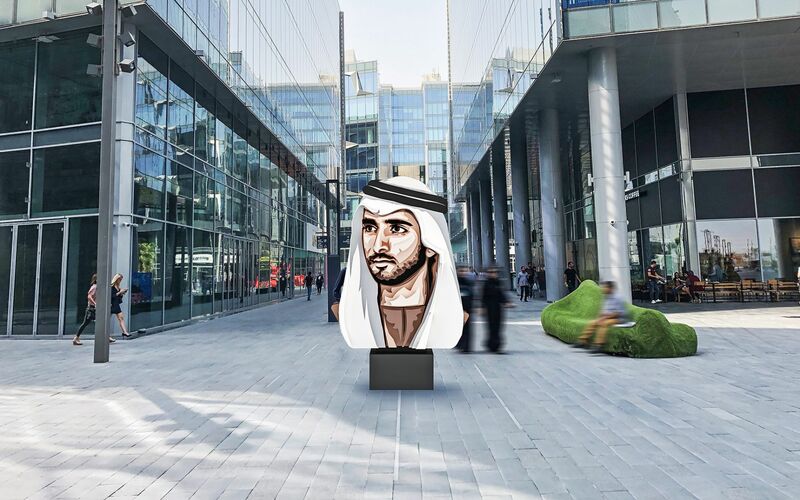 He became a well-known figure and a personal advisor to many esteemed government entities and leaders for whom he designed interiors for several ministerial offices in Emirates Towers, as well as residence and palaces. On several occasions, these prestigious clients have commissioned art features that were integrated into their interiors, revealing details that distinguish their personality in a bespoke and very authentic way.